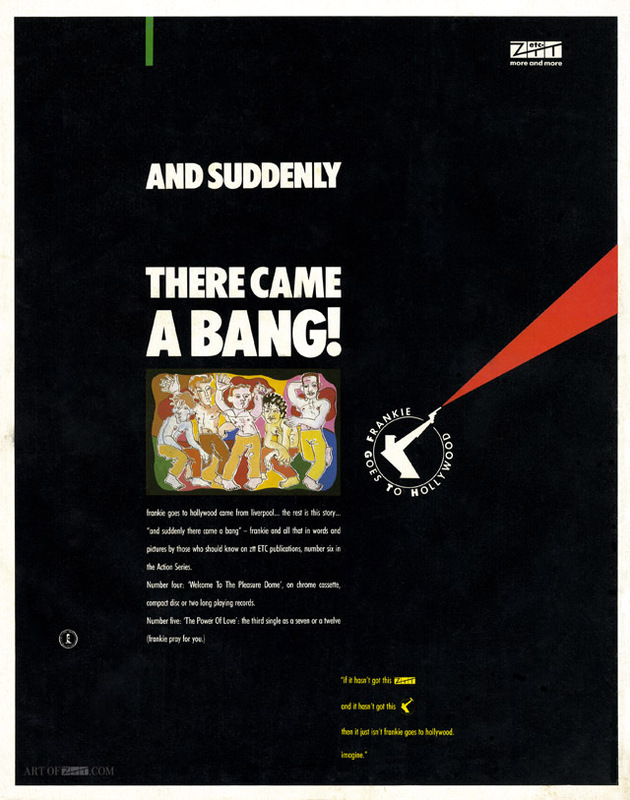 artist: Frankie Goes To Hollywood title: And Suddenly There Came A Bang! format: 1 pg Zig Zag advert design: XLZTT Illustration: Lo Cole cat. no: Zanglette No. 1 date: 11.84 art of notes: This advert is the only one featuring Zanglette No.1 – a year long history of Frankie – which was supposed to be published around the same time as the LP and third single but was delayed until early 1985 because of a printer dispute over images inside.